Upgrade your shoe game with these fabulous Kate Spade pumps. 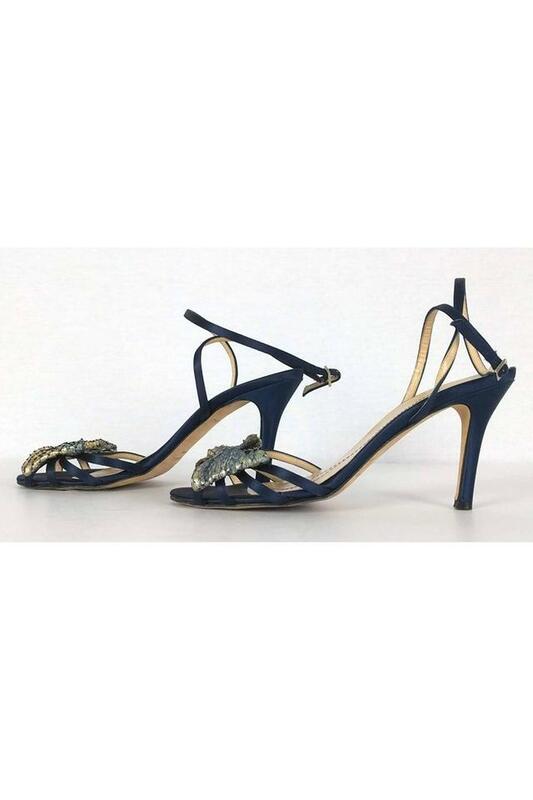 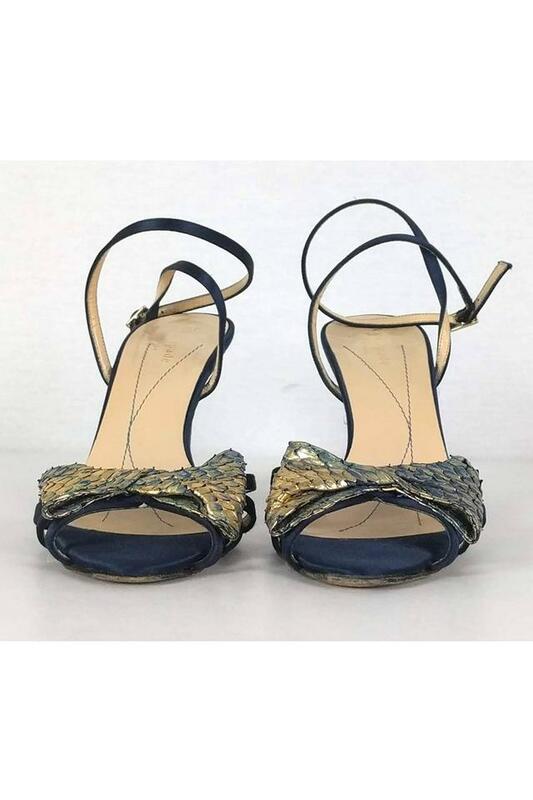 Made in a dark blue satin with a statement snakeskin bow on the front. 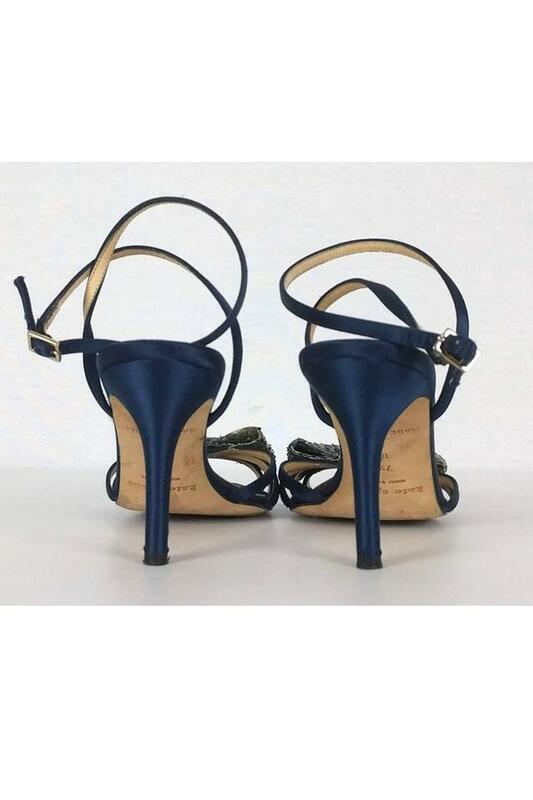 A flirty ankle strap tops off the look.